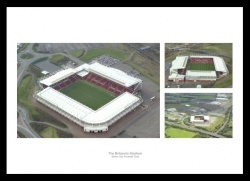 Super aerial views of Stoke's stadium. 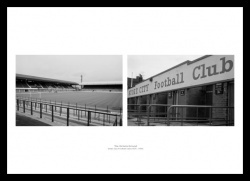 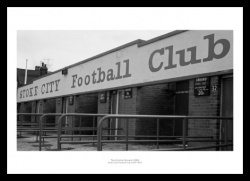 Stoke City's two famous stadiums. 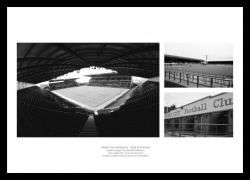 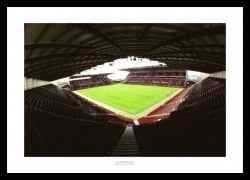 A print featuring the Bet365 Stadium and Victoria Ground. 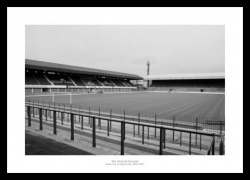 Inside the famous old stadium. 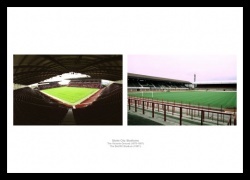 Bring back memories of visits to the old stadium.